"Work with Recurly more efficiently"
Recurly allows you to manage sophisticated tools for managing subscription plans, promotions, churn, and fraud. The program interface is easy in its work and attractive. You can monitor your reporting. I would like those one-off payments were a little easier and the program in its work was more flexible. Also, I would like that there would be a section of sales orders. The pricing given to the program is great. When you fully understand the work of the Recurly you can really improve your business. If you want to use this program, you may still need an additional program for analytics. You will find that Recurly works well and the developers of the program constantly improve it. The support service of thу Recurly works quickly and qualitatively. All functions that this program offers to us, are useful and functional for our business. I definitely will continue to use Recurly in my work. This is a wonderful software. I'm glad that with this good platform I can describe many wonderful things that work for me. Everything is useful and simple. With this program you can track your reports. The interface of the program is simple in its work and attractive. Support is good. Representatives are usually available in the chat and have always been able to help us. It is a little difficult to gather the exact data that we need for our analysis of the end of the month. This platform can make its efforts to the reports. Does not correspond to the main cases of use, for example, to request a credit card at the end of the free trial. The functions that this program offers are useful and functional for my business. With this software I'm sure that I can see how my financial resources grow. I like that I'm moving forward without stopping at some point. I will definitely continue to use this platform in my work. A great easy-to-use platform, if you fully understand the workings of this platform, you can really improve your business. If you want to use this program, you may need an additional program for analytics. "Very easy to set up and simple to work." I just can tell that this is wonderful software. I'm glad that with this good platform I can describe a lot of great things which is works for me. Everything is useful and simple. Perfect solution which works on your problems. I guess everything is simply right. You will never stay in one place. Great support will help you all the time. Good and powerful software. Will take care of your company. Simple to understand how all tools are work. Easy to set up and start work. Really very nice to have it. With this software, I'm sure that I can see how my financial resources are growing. I like that that I move forward not stay at one point. More clear work I can do and with no doubts. Recurly takes the pain out of subscription billing. At an early-stage startup, not having to handle all the headache around different payment options, billing cycles, invoicing options, etc is huge. They support is also great. Most of the time you have access to live chat; if no one is available, they're responsive over email. I don't use the analytics and reporting at all. There are some aspects of the product that are not completely intuitive, but they're support is excellent. For example, it took awhile to figure out how to automatically attach PDF invoices to emails. If you are accepting credit card payments, aside from Recurly you will also need a payment gateway like Stripe or Braintree. I would not recommend getting ACH payments directly through Recurly, as you will have to use a 3rd party service called Check Commerce which I have found to be a poor service. Solves everything around subscription billing. Benefit is that I can confidently charge / accept payments from customers. "Gross Deficiencies in the Product. Recurly then asks you to pay $600 to get around them"
At this point, literally nothing. The system worked fairly well until we had to create more than 1 coupon. Then the recurly team was disastrous with Support and follow through. Their functionality has huge flaws in coupon functionality. Even worse, when you point out deficiencies in their UI they tell you to pay their Proffesional services team. When I inquired with the support team, they said they'd escalate it. This is an easy fix to do on the back end of their software. Instead, I waited hours, had to check back in again, and was told that they wanted to me to do a workaround (which is not a workaround at all- it won't even work. And I already explained why this isn't viable). Don't buy unless you want to hit major issues and then be met with "why not pay our Recurly Professional Services Team $600 to do this basic thing that our product should do"
Pretty much none. Their customer support has been horrendous. 7+ tickets and emails, their team will take months to send you a follow up email, and when your issue "gets escalated" they just respond later giving you the same answers as if they never listened at all. Thank you for sharing your experience with the Recurly platform and with our Support Team. We take pride in what we do and are eager to learn from our mistakes. Our Support Team consistently receives over 98% positive approval ratings, however from your feedback we clearly did not provide you with this level of service. While it appears we were unable to do this for your use case, Recurly does solve subscription billing problems for thousands of businesses out of the box. Like any product, we make decisions about how we implement product functionality and in situations where we cannot meet specific needs, we’ll try to offer some other path or workaround. Again here, it appears our suggestions fell short of your needs. I appreciate the opportunity to learn from your experience to make Recurly better. If you are interested and available, I would be happy to set up a call to discuss in more detail. You can reach me at my email below. I like being able to see historical data on all my clients accounts. The churn analysis is excellent as well. The software is a bit complicated and not as customizable as I would like. Its a but confusing when you are a non-finance person trying to navigate through and find something very specific about a clients account. I would like more customization, but for a basic billing software it does the job. Limit who has access to this so you can keep everything consistent. Being able to digitize the billing for our subscription service in a quick and easy way. Very little ramp, you can get in and start using. Recurly is pretty easy to use. It's easy to set up subscriptions and edit them for the customer. There's also a shortcut link that doesn't require a recurly account which makes it easier for a billing department to fill out, and you can have multiple people receive invoices if necessary. I wish it was a little easier to have separate subscriptions and separate payment options within the same account. Many of our customers have different teams using the same software and want to pay separately. It's easy to set up subscriptions both under credit card and for ACH payments. There's also a notifications for late payments that Recurly can send so we don't have to chase people down as much for declined cards or overdue payment. The 'Account Updater' function is awesome. Recurly automatically updates many expired credit cards - saving our billing group lots of time. Products is solid and delivers on its intended use. Uptime is very good. No noted bugs. Recurly has been adding features to make it more flexible. In particular the way it handles refunds has been greatly improved. Support is good. Reps are usually available via chat and have always been able to help us out. -The reporting is weak. There is no way to generate a report that shows transaction along with the accounts User Name or Company name. So, if a customer uses an email address when signing up, you can only generate reports with this email address as the identifier. This drives us crazy, as there no way to tie the line item on the report to an account record in our financial ledger or CRM system unless we manually look up each email address. How hard would it be to add a column in the Recurly report with either the Company Name or User Name? Seriously? -The presentation of account credits are very confusing. Its tough to tell if a credit has been used or not. -Service is expensive vs. competitors. Be sure to price check before making a decision. Recurly's user interface is very appealing and intuitive. It's generally easy to onboard new internal users. We tried to use it as our only invoicing system for our business but it failed in many different ways. If you are considering moving to Recurly as your only billing platform, you need to consider if you can live with the tradeoffs their system provide. If you mainly have B2C of small B2B clients, most likely it will be a great system for you. Recurly is able to handle both credit card and bank payments in one unified system, giving employees easy access to anything billing related. "Best in its class but could become quite expensive!" Recurly is easily the best subscription billing platform. It automatically updates expired credit card which saves a lot of time. There are no bugs what and the platform constantly get updated with new features. Their support team is something that is always there for their customers. There is really not much to dislike but Recurly could put their efforts on reports. They could be a little cheaper compared to what they are now. If you are considering Recurly only as a billing platform then you can straight away go with this platform just because their support team is good but if you are looking for cheaper alternatives as well. Previously we had a tough time with managing subscription billing and maintenance, now all that is handled by Recurly. "Usually stable and reliable payments"
Several years ago, we were very happy that we found Recurly, as there were not many payment solutions that would support SaaS subscriptions. Nowadays, Recurly is just one of many good providers, but I won't be able to say they are the best and be 100% sure I'm right. We've grown as a business, our expectations have grown also and not always is Recurly ready to fulfill them. Other apps to consider? Braintree, Stripe. While using Recurly, you will also need an additional software piece for analytics. Possibly - ChartMogul. Accepting automated payments from customers worldwide - customers provide us with their credit card details and the following payments are being triggered by Recurly. "The best in subscription management"
As a developer I have a lot of experience integrating payment processing and subscription management into existing software and I can say without a doubt that Recurly is leaps and bounds ahead of any other subscription management service. It seems that generally the competition mainly focuses on payment processing and only have subscription management in order to provide a complete package which is usually lacking. Recurly on the other hand treats subscription management as a first class citizen and provides all of the capabilities you'd expect, Add-ons being one of many. The admin portal, documentation, customer support and API integration for developers are all top notch. Every product has room for improvement, but in relation to what other services provide I can't honestly say that I dislike anything. If you're just looking for a payment processor with basic subscription support there might be cheaper solutions out there, otherwise Recurly offers the best subscription related features. Our email security service supports many optional features that a customer can choose to subscribe to. Recurly's add-ons enable us to accomplish this very easily. Certain plans have specific add-ons with specific pricing and we're able to override that pricing on a subscription by subscription basis if necessary. Recurly might have the best support I've ever seen. The answers are always fast (a few minutes) and accurate. Besides that, the interface is clean and easy to use, the API can be quickly integrated with SDKs in several programming languages. The solution might be a bit pricy for really small companies but for medium or big companies, the service and quality offered make Recurly worths the money. The only issue we've had with recurly was about localisation. We're a french company and as such, needed a way to translate the emails and invoices sent to our customers. At the time (2012-2013) there was now way to do that with recurly. That might have changed since then. So we disabled automatic emails and made our own system triggered by recurly notifications. Not a big issue though. All features being equal, recurly has certainly the best and most effective support team you've ever seen. If you only need one reason to choose them, this is the one. Besides that, the uptime is good, communication too (scheduled maintenance for example) and they constantly upgrade their product to make it better and even more secure. We needed a payment solution to handle yearly and/or monthly subscriptions, coupons, etc. The idea was to avoid the hassle of dealing with recurrence, credit card information storage, invoices, etc and be able to launch our new product quickly. After some evaluation, Recurly appeared to be a good compromise between price and quality. We've never been deceived by them since then. "Be very careful when you pick a subscription platform"
Their UI it pretty good but apart from that nothing. Charging model is outrageous compared to competitors, I have had 1 customer and spent $1200 + fees in a year so haven't even broken even. It should be revenue share only. Why do you have to plug in a payment gateway as well? Not necessary with competitors. I love that the staff is available to help in immediate needs. This service is very easy to use for any subscription business, they allow for tons of sub plants and price points and provide detailed information and reporting. They also have a lot of webinars to learn new features. One thing that i really dislike is the the refund system, sometimes it adds refunds as CREDITS on accounts instead of just refunding, this can get tricky and usually you need the service reps to walk you through it. If you have a subscription business this is one the of the best things you can do for yourself. Take a few webinars and try it out, you will be impressed. Chat with the techs, they will help with any of your needs almost instantly. I have found this gives us good reporting on trends with our business, we have only been using for 1.5 years so i expect after 2 years I will have a broader idea of what exactly is benefiting us the most. I have yet to find anything I like. I expect the product to work like the marketing guy said it would - but guess what does not. customer sup[port - not helpful at all during setup. Tsys should have been a simple setup - but Recurly found a way to delay the setup and had me chasing information that was not required. No ability to speak to anyone in support. Better customer service when setting people up. Forced to go through their support for setup. Just trying to integrate a payment process to our website. I wish I used a different application. Recurly allows you manage your customer's subscriptions with ease. We are able to automatically manage our existing customer base of credit card subscriptions as well as handle subscriptions fluctuations that are prorated down to the minute. "Recurly a great tool for early stage B2B SaaS companies"
It's easy to use and get around. Their export functionality provides a lot of detail about each section of the platform making it easy to create the reports we need to for our SaaS company. While exporting to a CSV is great and all, it would be nice to have some better native reports such as calculating monthly or annual churn rate (both revenue and customer). It would also be great to have more flexibility around managing the plans. As a SaaS company, our pricing has a tendency to change or we tack on new add-ons. The ability to tack on add-ons is not easy to do and requires creating brand new plans. The same goes for the length of someone's billing cycle. For every length type (monthly, quarterly, annual), you have to whip up a new plan instead of being able to alter an existing. This makes for a very messy and lengthy list of product plans. Great easy to use platform and the price is right as well. Some limitations around reporting and in flexibility on changing up existing plans without having to create brand new plans but otherwise, a great tool for any SaaS company looking to get out of managing customer accounts in a Google spreadsheet. The problem of keeping track of our recurring customer payments and knowing when those payments are successful as well as not successful so that our account management team can collect on those behind in payment. The invoices are automatically generated, the website UI is user friendly, web hosted link for customers to edit their billing information (I used this link when our own customer information page was down) - cutting off access for customer who haven't paid after numerous notification attempts. Our previous payment system kept issuing access even though customer hasn't paid for 1 or 2++++ more months. I loved every thing! It took a while to get used to the new interface, a couple of time i had to go back and fourth between the new and old version but eventually I got used to it. Keeping track who's paying. How many active users we had. A benefit was that recurly cut off access for customers who haven't paid after numerous notification attempts. Our previous payment system kept issuing access even though customer hasn't paid for 1 or 2++++ more months. It was a lot of manual investigation to find out how many months/money was owed to us from customer's with no longer valid CC info. "Remove the hard parts of subscription billing"
Recurly is very developer friendly, provides a great documented REST API and really takes the pain out of implementing a fully-featured subscription billing interface into your SaaS solution. I was able to implement the whole billing part of our application in less than a day. Recurly is not a fixed-price product and is not cheap. They charge a percentage on every transaction, on top of a $300 monthly fee and the percentage that is already going to the payment gateway eating into your margin. I'd give it 10 points if it were just a fixed price. When you look at the pricing, consider that you'll spend weeks to implement a fully-featured subscription billing interface yourself. 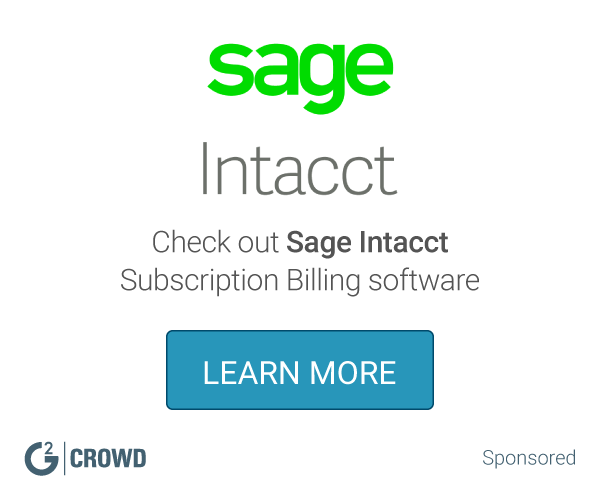 The implementation of a full subscription billing interface for a SaaS solution was seamless. "A fairly solid product needing user defined fields and better enterprise technical support. " The Recurly GUI is user friendly, smooth and responsive. There are decent analytics built in. I've been surprised at the difficulty in reaching technical dev and accounting resources when seeking support within Recurly. Great for SMBs, could use a bit more work and flexibility for large enterprise deployments. 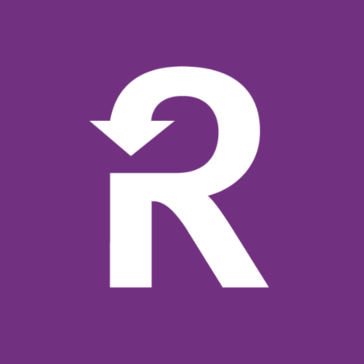 We use Recurly for our SaaS CRM product. Set up and configuration is easy for the most part. "Decent software, not very intuitive dashboard"
I like that the software handles recurring payments independently and alerts the admin when credit cards are declined. I don't like the backend dashboard. It seems like there are multiple names for the same items and some sections are hard to find. Its not easy to update the credit card info. We have been able to set up recurring payments for one of our services. It has made the billing process hands-free since we started. "sales rep who uses recurly for transactions"
"Recurly is fast and simple, once you learn it." Once you learn the software, it's easy and quick to get things done. Seeing past history on an account is clear. Our organization is easily able to give many different departments access and enough privileges to fully own our required tasks. Still, our Finance department can truly own billing and collections. If and when their have been issues with Recurly, their support has been thorough and their communications have been clear and helpful. You definitely need training from someone else who has used it to learn it properly. It didn't seem intuitive or something I could learn on my own. Also I'd say about 15% of the time, the site is down, or I at least have to log in three or four times. If manual collection is used for certain invoices, you lose the ability to truly audit what a customer is seeing. Make sure you obtain and document all necessary training before allowing all your users unsupervised access. We have a lot of small self-service users on our platform who change their subscriptions frequently. We have to be able to solve billing questions and issues in the Support and Success organizations without relying in Finance. Recurly helps us do that. Auditing past changes and maintaining transparency with our customers nicely aligns with the values of our own company. In a previous company, utilizing billing software was pursued as a monumental undertaking reserved for experts only. "Recurly Is Worth The Investment"
It is so easy to cancel subscriptions on this site. The customer service is pretty solid and they're always around to answer questions. The reporting tool is really difficult and never gives me the results I want. Recurring subscriptions. People can sign up really easily and unsubscribe really easily. "Recurly User for Customer Accounts"
The user interface is fairly easy, not only for myself but also to refer customers to in order to update acocunts. I don't have any, I'm not involved in the business decisions for why we chose recurly. Helping customers update accounts in order to pay for our software. The benefits are the ease of use when integrating with our product. "Recurring billing is a necessary evil." Management of Dunning -- easy to keep track of who is having payment issues and needs attention. Nice to see reporting trends...everyone likes an MRR growth graph! I don't have Recurly officially connected to my application, so it is still a process to get a new customer onboard. I wish there was an easier way to make this happen. I need easy ways to take credit card information and trigger ongoing payments, and Recurly is what makes sure this gets done. It's certainly a benefit to have payments come in regularly, and notices go out when they don't. Nothing really. If I had to name something it would be integration with our custom built system via their API. It took our engineers longer to integrate than expected. Automatic invoicing. Recurly handles this perfectly. It's simple to just drop into any web or mobile app. You can use their hosted forms, or one of the many, well-documented API's. Getting set up with Recurly was the easiest part of making my web service fatten my bank account. I recommend it at every hackathon I attend. Hard to think of anything, however I'd like one-time payments to be more straightforward. I run a SaaS encryption platform which enables small businesses and individuals to manage their secure communications in a trusted, unbiased environment. The company is still growing into a robust feature set. Would love to see things like contracts/sales orders represented in their model and more in depth invoice tracking. Recurly is really great for a set it and forget it process of billing. With the right hosting of their user tools, customers can update their own outdated payment information without you ever manually contacting them. Their card re-try algorithm maximizes revenue with the least manual intervention possible. No more hiring someone to do our billing on the 1st and 25th, and not only that -- we are able to save money with credit card declines. We weren't using a real processing interface, this is great! Coupons are able to be reused. I cannot fix this!! We are able to bill customers on monthly payment plans. It helps us lock in huge jobs, as well as provided a cutting edge compared to local vendors. "Experiencing Exporting Issues With UK Quickbooks"
That it is user friendly and it is appealing to the eye to stare at all day. I wish it would export into Quickbooks UK version because thats the one we use. "Excellent subscription management and payment gateway"
Their PHP ADK is very extensive and well written. The JS library for forms is also extremely helpful for staying PCI compliant. The Webhooks will sometimes not fire and we had to create some processes to compare our data with recurly and figure out payments and statuses. Excellent product, just make sure you have procedures in place when webhooks are not sent properly. Recurly has allowed us to shift some resources away from billing and focus more on the further development of our application. Since I primarily only use the product when needing to get subscription/billing information about our customers, I do like how easy it is to navigate around the site and the reporting functionality. I have heard from my colleagues who use Recurly much more frequently that there seems to still be occasional bugs, as well as, the support being not as helpful as they would prefer. Since I primarily use Recurly just as a source of billing information, and am not a primary individual in inputting/maintaining that information, I don't think I can say I am solving any problems. The benefit I can think of is the easy to maneuver interface allows me to grab information at ease. "helped Build integration with Recurly"
The UI was super easy to use. The Python SDK what really useful. Somme limitation a t the time now they are mostly solved. "Solid Payment Management and Acceptance Platform"
Easy to search transactions, easy to refund. The timeout on logins is too short, requiring users to log back in and lose work time after even brief delays. We use Recurly to manage credit card and Amazon payments for our product and it works well nearly always. It is a smooth intuitive system. The simplicity of the layout and the ability to send forms to other agents. No complaints on this software, load times are stellar and rarely do I get an error. Ability to manage hundreds of customers while using remote agents this allows for a smooth transition from customer service to technician. "I am a fan of Recurly"
I had to learn Recurly for a job and I am glad I did. Recurly was easy to learn and very straight forward. I would recommend to a friend and would definitely use again..
Dislike I cant recall anything I disliked about the program. I used recurly for billing for our subscription based clients. I liked that you can name different categories within the program. "Good documentation, fast response to email questions. Overall, happy!" The administrative interface is fairly intuitive after you get the lay of the land. The tech support is great. Nothing, really. Additional code examples are always very helpful. "Overall, a good choice for subscription management"
* We monitor all Recurly reviews to prevent fraudulent reviews and keep review quality high. We do not post reviews by company employees or direct competitors. Validated reviews require the user to submit a screenshot of the product containing their user ID, in order to verify a user is an actual user of the product. Hi there! Are you looking to implement a solution like Recurly?